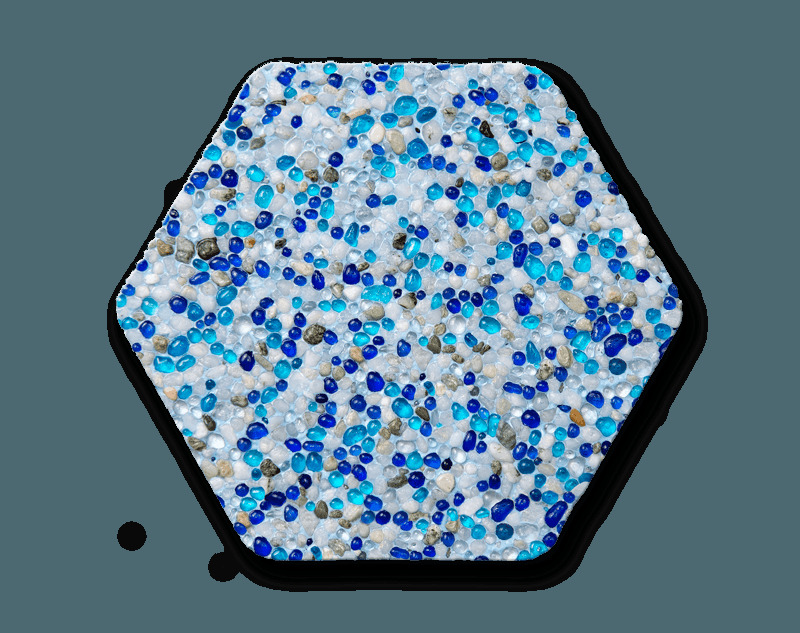 PebbleBrilliance™ is a blend of vibrant glass beads and natural stone aggregate. The glass beads infuse colour into pool surfaces, delivering a captivating finish and a unique, brilliant water colour. • This blend offers long-lasting durability with a lavish texture. • Fortified with proprietary additives to provide a uniform composition and vivid colour. • All colours incorporate 'Shimmering Sea' for added elegance. Pebble Technology International® (PTI), the originator of the aggregate pool finish, offers five distinct textures of quality pool finishes. PebbleTec®, PebbleSheen®, PebbleFina®, BeadCrete® and PebbleBrilliance™ offer a wide variety of visually stunning, nature-inspired colours, which blend into any outdoor environment. PTI has been a driving force in the transformation of the pool building and remodelling industry with high quality pool finishes, outstanding customer support, and dedicated sales and technical teams.